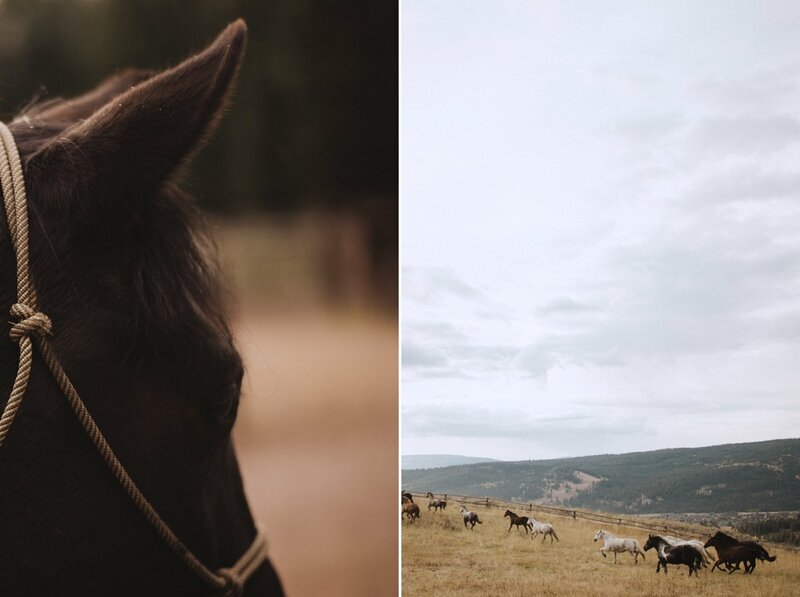 This month marked one year since I got invited to go visit and photograph the enchanting Lone Mountain Ranch in Big Sky, Montana. This sprawling property was established as a homestead in 1915 and has served a few different purposes throughout the years including a cattle and hay cutting ranch, a personal vacation spot for Chicago paper mill tycoon J. Fred Butler, a boys summer camp and housing for families after World War II. 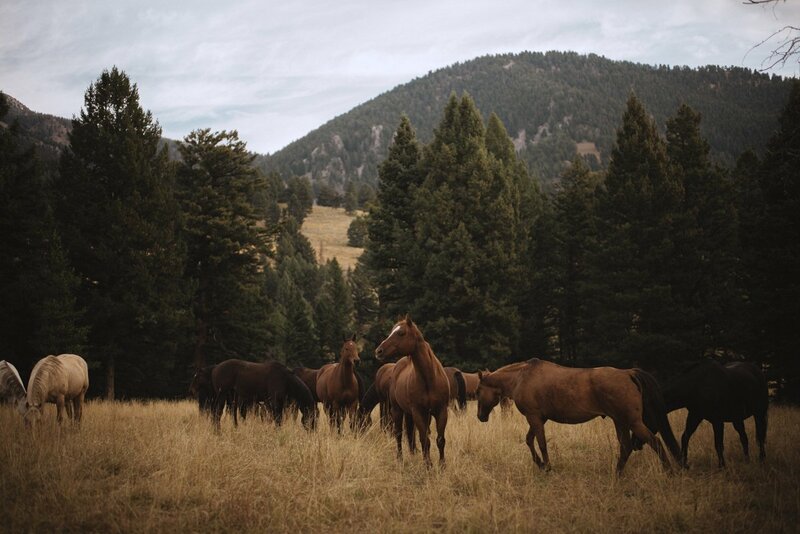 Since the mid 50’s Lone Mountain Ranch has been a important travel destination, offering guests the true Montana experience. Just like guests back in the day, I was greeted and picked up from the Bozeman Airport and taken to experience and capture the great American West. The Ranch has a unique way of making you feel like you’ve stepped back into a different time in America. 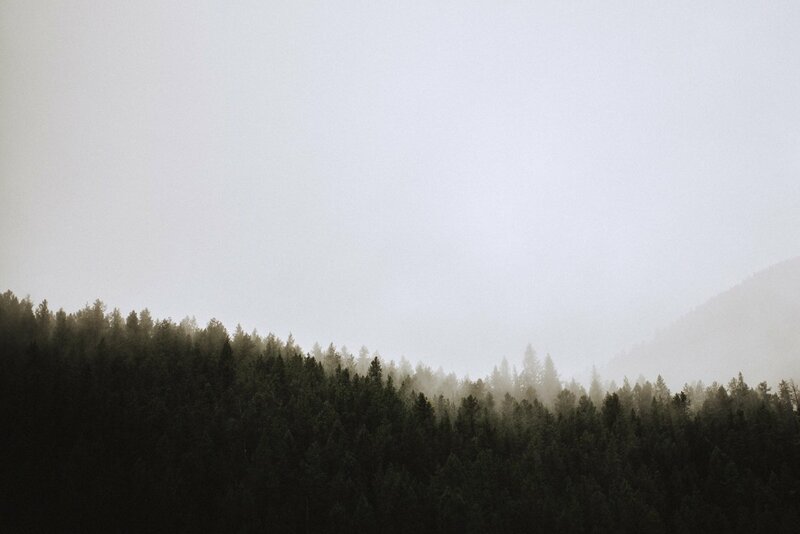 Things move at a different pace, life feels simplified and nature has a way of healing your soul. Peace and serenity are in good supply. The people you meet feel like old friends. During my shooting of the property I was impressed with just how many things the Ranch has to offer. Hiking, mountain biking, fly-fishing, learning to rope, rafting, yoga and massage therapy. Not to mention a whole list of winter activities ranging from sleigh rides to cross country skiing. 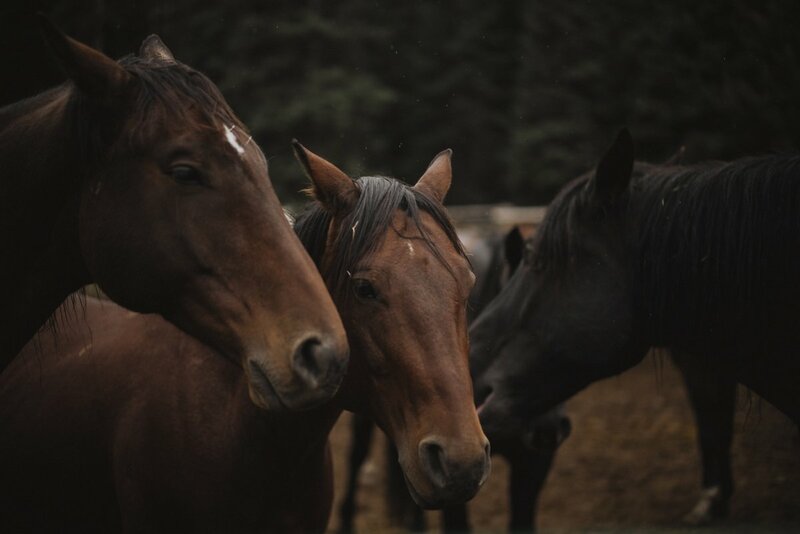 My personal favs were taking walks around the property, having a fire in my cabin, dinners at the Horn & Cantle and spending time with the … horses. 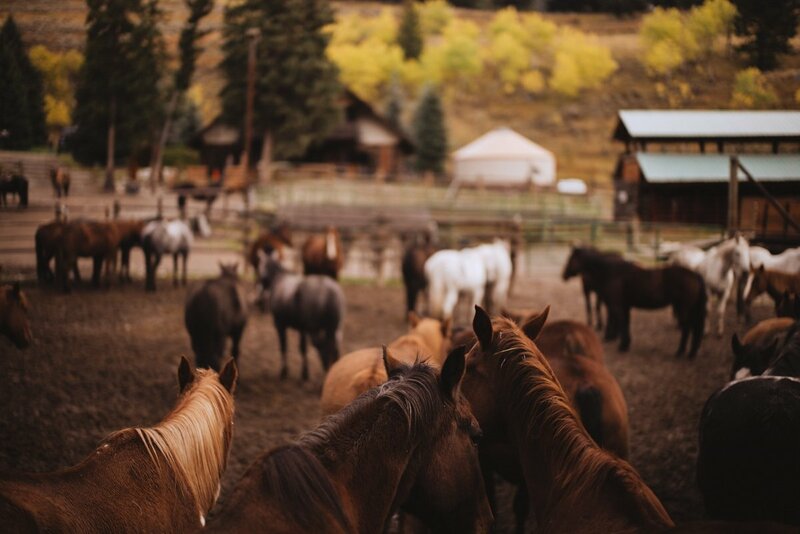 Before visiting Lone Mountain, I had never spent time at a proper dude ranch. Aside from gentle trail rides on my travels and spending time with my sisters horse I was never heavily immersed in horse culture. By the end of the week I felt like the Horse Whisperer. Whenever I needed a minute to ease my introverted soul I would head over to the stables. 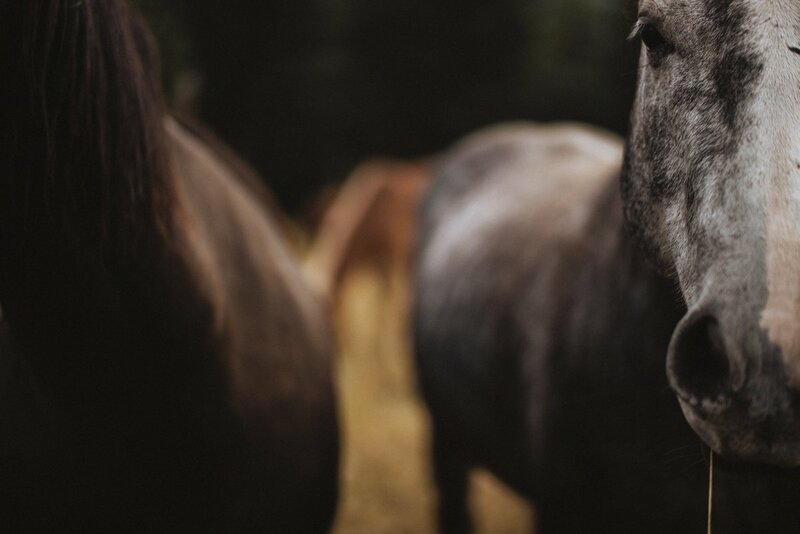 The horses at the Ranch have beautiful, kind and curious personalities. I couldn’t believe how well I connected with them. They got to know me and I had many favorites towards the end of my stay. 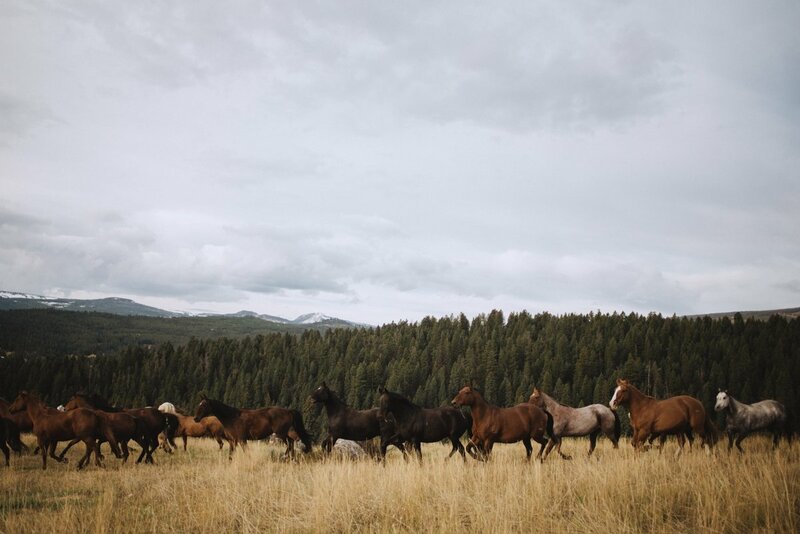 One of the coolest things I got to see during the week was the wranglers running the horses up the mountain. 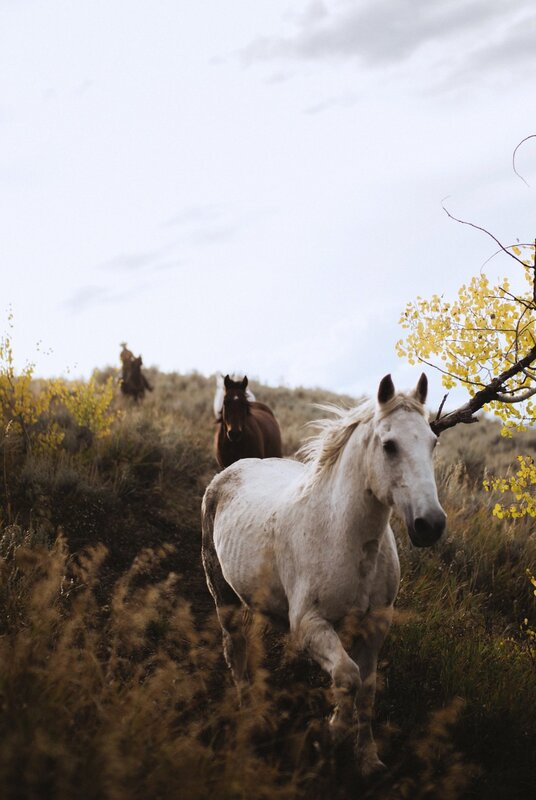 Perched atop a stone in the field where I would be safe, witnessing the horses run was one of the most thrilling things I’ve ever photographed. 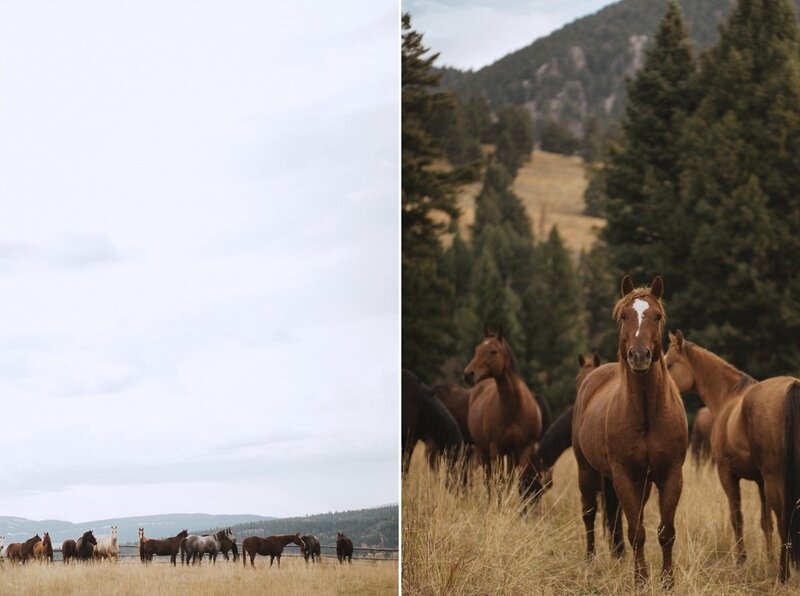 They played and ate on the mountain, enjoying the Montana fresh air before the all galloped back down. 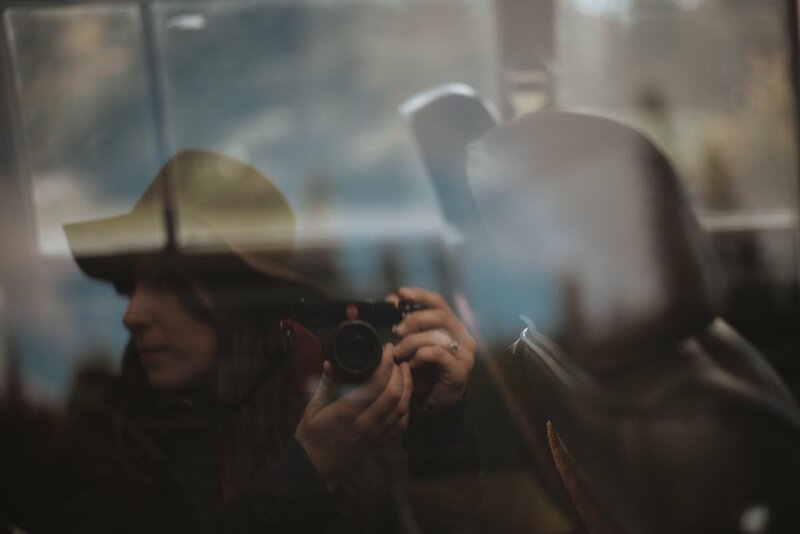 In the past year my schedule has put me in and out of airports, train stations, moving in rental cars and sitting around or moving fast for hours at a time. 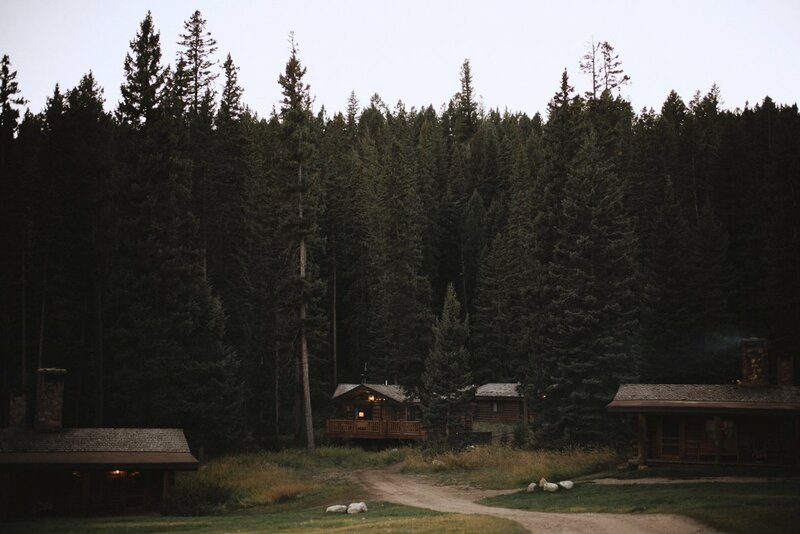 The moments I experienced and memories from my time on the ranch have stay with me. I think of them often and daydream of the magical beauty of a sunset there or the smell of my cabin fire or the quietness all around. I hold on to the adventure that lives there, waiting for me on my next visit.